We all forget things often and risk losing good ideas. As soon as a brilliant idea comes to you, there are two things you can do to preserve it. First, you can record it – in writing, picture, drawing or video – and put it in a place where you will never lose it. The alternative, I’m afraid, is to let the idea linger in mental space and see if it can stand the test of time. The best ideas are not easily forgotten and won’t leave you alone. If you truly want to test the relative strength your idea, see whether you forget it after a while. If you fail to write it down and never forget it, chances are pretty good that your idea counts for something and isn’t going to run away from you. I sit beside this exact fire once every few years with old friends – most of whom I had not seen since the fire before it. In moments like these, everyone can catch up, let go and share in timeless togetherness again. As if the last fire occurred in the not so distant past, conversations and idiosyncrasies flashback in ways that challenge the passing of time. Reunions often cathartically reorient your core and priorities. You remember who you were, remember who your friends were and remind each other. 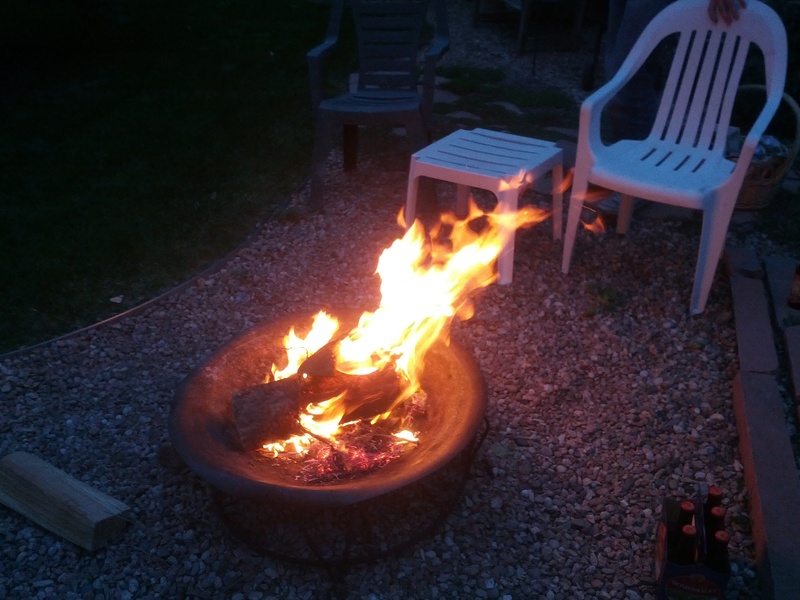 Save for a few nostalgic campfire stories, the echo of your past happens subliminally. It feels like reverberation in your memory – like a moment worth reliving. Reunions enrich the soul. Without losing yourself to total nostalgia, I recommend assembling them as often as you can. I spent the better part of my high school and college years fighting my body and pretending to be immortal. For that, I was rewarded with threats to my heart and notable memory retention deprivation. We’ve only got one body (as far as I know), so what’s the point? It’s like using a million-dollar prize for firewood and burning most of it up in one fell swoop. Damn shame. Why not listen to your body and take care of it? If you’re tired, sleep. If you’re hungover, don’t drink more. If you’re hungry, eat. If you’re sick, rest. Simple logic far too often ignored. Very shortsighted to ignore these signals in favor of making a good impression at the office, meeting a deadline or proving a point. Especially dumb to put your body to the test as some public point of pride. Why I bragged about how little sleep I got in high school is beyond me. Don’t do it. It’s dumb. Take care of yourself! You will sleep better having checked off just one last task on your list before calling it a day. If needed, finish it right before you hit the pillow – whatever it takes to clear your conscience before shutting down. I do not condemn the nights where a whirling mind delays sleep, but those nights are often preventable if you need the extra hours invested in your rest.